Porsche is legendary for its style and fine craftsmanship. It’s invariable that any car lover would, at one time, want to own one. Unlike the joy of owning one, the diagnosing problems to perform repairs on a Porsche are not so favorably viewed. Because of this, many Porsche owners and mechanics employ OBD2 scanners. Just like cars, not all OBD2 scanners are built the the same level of function and performance. In this guide we will review the best available OBD2 scanners for Porsche. Allows users to reset the oil and maintenance reminders. Exportable reports and fix solutions take the guesswork out of repairs. Licensed for Apple and Iphone application. The diagnostic code reports are easy to read via the user-friendly interface. The tool enables access to numerous systems. The tool may be able to identify the ‘number of ignitions’ to pinpoint over-revolution issues. The tool directly links to your car, displaying information on your laptop. Excellent customer service with a full one-year money back guarantee. The tool will allow customization on some models and makes. The information pulled from the engine performance logs is clear and easy to read. Customer service is available in English and Spanish. Repair solutions help the user understand how to fix the problem experienced with the vehicle. Live data graphing allows the user to view engine performance in real-time. Updates are downloaded from the internet free of charge. This OBD2 reader comes with a 4 tft lcd screen, diagnostic software modeled for Porsche, and is capable of full ecu diagnosis. The scanner can read and clear your trouble codes on the transmission, abs and airbag as well as other engine functions. It allows users to access ‘off’ functions for the ecu and brake warning light, as well as run diagnostics on epb/sbc aliper functionality, reset the brake pad thickness and more. While some early 996 model owners had difficulties achieving compatibility with this OBD2 reader, most users appreciated the on-screen directions, single unit ease (no additional sensor needed) and found it read, diagnosed and cleared their codes as advertised. ​The OBD2 unit is powered by the OBD port. ​Allows users to reset the oil and maintenance reminders. ​Does not come with a user manual. ​Some models may not experience full functionality. The Durametric OBD2 was modeled after factory-OBD2 scanners yet intended for everyday use. There is no additional tool needed, the unit plugs directly into your car, allowing you to communicate with the tool via your laptop. It will allow the user to reset service reminders, shows ECU information, clears diagnostic codes and can activate certain functions such as Drive Link. This device was fitted with a user-caution system that will tell the individual whether the areas of the car’s system they are working in or the obd codes indicates the fault in the engine system is a specialized area. While experienced mechanics may find this unnecessary, those with less practice working on Porsche models may appreciate the caution. While this is an overall great tool, keep in mind that the scope is limited for some models. Be sure to check that your Porsche is compatible prior to purchase. ​The tool directly links to your car, displaying information on your laptop. ​This OBD2 reader has capabilities to function with the DME, airbag, tiptronic, alarm, heating and a/c system, seat memory and more. ​Durametric can read most error codes. ​The diagnostic code reports are easy to read via the user-friendly interface. ​The tool enables access to numerous systems. ​The tool may be able to identify the ‘number of ignitions’ to pinpoint over-revolution issues. ​The OBD2 tool does not work on all models. ​This tool is incapable of clearing all lights, such as the ‘Service now’ light. While the TOAD OBD2 isn’t marketed specifically to Porsche models, it does have capability to read and diagnose for some models. This tool will also allow you to clear some faults and customize the performance, fuel efficiency and torque for some engines. This OBD2 reader connects to your car to allow interaction via a laptop or computer through a required ELM327. It will read codes and produce graph-style charts that allow users to easily review the performance of their engines. The tool is capable of accessing the engine, transmission, abs and brakes. Overall, this is a good tool, although the diagnostic capabilities may be more limited with this model. If you are searching for a tool that will allow access and resetting of specific systems, this tool may be suited to your needs. ​Excellent customer service with a full one-year money back guarantee. ​The tool will allow customization on some models and makes. ​The information pulled from the engine performance logs is clear and easy to read. ​Some users noted that even after the download, they had to wait for delivery of the license key to access the software. ​This tool does not work on all Porsche models. ​Some codes may be missed. ​It appears this software has been counterfeited. Please be sure to purchase the authentic software to avoid complications. The Innova is a combination handheld tool and software package that connects to your car’s USB port and communicated information to your laptop or computer. There are several different models that are differentiated by the numbers following the name. Be sure that you purchase the correct model. The handheld device is formatted to reduce unwanted scrolling on the screen, which is a nice user-friendly feature. The screen will show DTCs and their definitions in three languages. While the Innova 3160g has features that allow the user to erase specific codes on the ABS and SRS systems, these are only applicable to Honda, Toyota, Chrysler, GM and Ford. It does carry a vast database of codes and can diagnose faults in engine systems such as the transmission. It offers repair solutions for some models with step-by-step videos and live data graphing of the engine functions. This tool is capable of performing beautifully on some models, but has almost zero application on others. Be sure that your car is compatible prior to making the purchase, and be aware that there are extra subscription fees that are optional, but improve the diagnostics. ​Customer service is available in English and Spanish. ​Repair solutions help the user understand how to fix the problem experienced with the vehicle. ​Live data graphing allows the user to view engine performance in real-time. ​Updates are downloaded from the internet free of charge. ​Some features cannot be applied to all makes and models. ​There have been issues with long warranty adherence processes for damaged tools. ​In order to receive full repair support, the tool requires a monthly subscription. The Bluedriver Bluetooth is a device that requires the use of the Bluedriver App to communicate with your vehicle. It then connects to your smartphone to allow data transmission. Reports are easily stored and read, and he Bluedriver Bluetooth allows users to email reports to others or themselves. The Bluedriver Bluetooth relies on the Identifix database used by professional auto repair services. The database matches your model, make and year to the trouble code to formulate accurate fault code readings. The tool will also provide a list of suggested fixes to the fault codes based on user reports and factory suggestions. It is capable of reading live data and formatting it into graphs as it is transmitted, as well as updates on recalls. Overall, the Bluedriver Bluetooth is a helpful and useful tool. The reliance on portability as well as the multiple variations in capability due to make and model of the vehicle are considerations that the user would have to keep in mind when they purchase the OBD2. If you have these concerns, this might not be the tool for you. ​Exportable reports and fix solutions take the guesswork out of repairs. ​Licensed for Apple and Iphone application. ​Some models experience limited ability-for example, the tool will scan the engine system but not the ABS system. ​Portability is limited by the reliance on Bluetooth. An internet connection is required to allow function. ​It’s formatted for use on European models and therefore has a wide application on all most Porsche cars manufactured post-1996. ​The features are expansive- read, diagnose and clear trouble codes. ​Full data stream reports allow the user to make more accurate diagnosis. ​Reset function allows clearing of change oil lights. ​This is one of the few tools that combined strong diagnostic capabilities with functionality access to other systems such as ABS/Heat/Air and other systems. ​The tool allows for bulk resetting of service indicators. ​All together this makes the iCarsoft POR-II an excellent choice as it allows not only diagnostic functions for your car but access to adjust comfort functions and reset service lights. Given the price of the OBD2 scanner, it’s reasonable to choose one that allows greater access, function and control to the user outside of just reading the fault codes. As a second-place winner, we chose the Durametric. This tool, with it’s friendly interface, scores high on the list of recommended, but stayed in second place only due to it having less features than the iCarsoft POR-II. 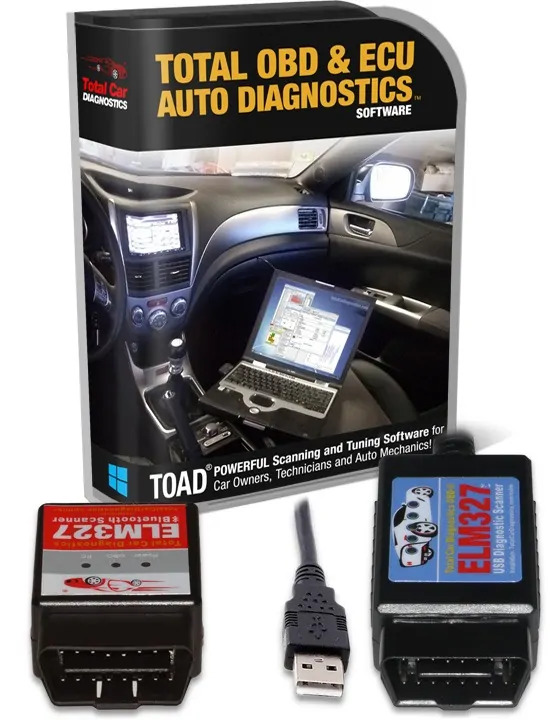 This would be a great tool for a new Porsche owner, or one that wants a tool to diagnose more routine problems, reset codes and do more standard fixes. The addition of the informational warning about the more advances systems is a nice safeguard to help these mechanics decide if they want to pursue the repair or take their car into an authorized shop. I hope this has answered your questions about the OBD2 scanners for Porsche available, and made it a little more clear about which would work for your needs. 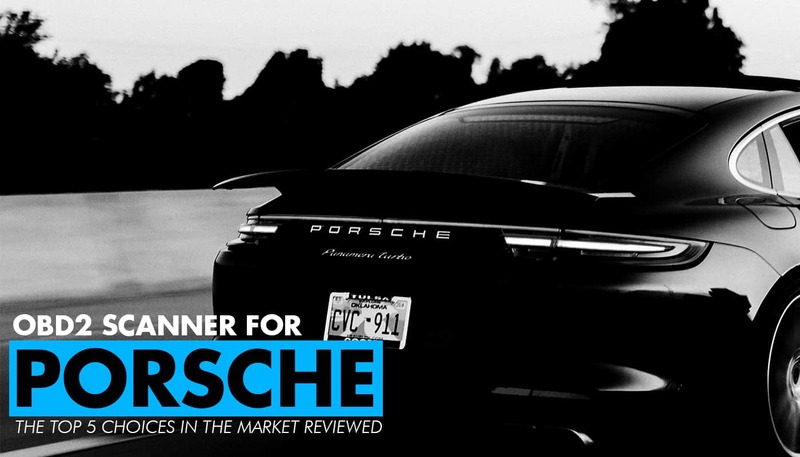 Just like cars, not all OBD2 scanners are built the the same level of function and performance.In this guide we will review the best available OBD2 scanners for Porsche.